You can learn to pole dance by joining a course or doing a private lesson which can be on a one to one basis or you can share the lesson with your friends. We recommend joining a course because it is the best way to make new friends, commit to a routine and is definitely more fun! You will soon discover the benefits of being in a class where you are training with people who really want to be there and on the same journey as you. The Class environment shows you that everyone struggles with something at some time in their pole journey, we all have different strengths and weaknesses and the class will support you in your weakest moments and will follow you when you are at your strongest. Of course sometimes this isn’t the best way for some people to learn and if that is the case we will give you the same fun dynamic workout whist supporting you just the same. *All payments apart from the 4 week basic pole course on it’s own are payable via standing order only. 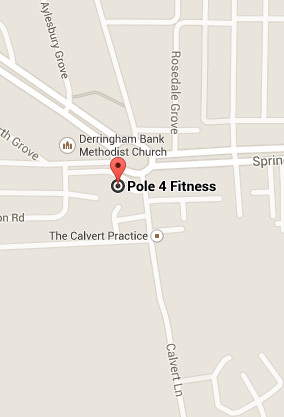 *1 x 4 week pole course + 1 x 4 week aerial course is payable via 2 standing orders of £33 to Pole 4 Fitness and AOF Champions Gym. *2 x 4 week simultaneous pole courses are 2 courses running at the same time along side each other. Our courses are 4 weeks courses and run on the same day and at the same time every week. The courses are set in stages so you learn the moves progressively. If you have never pole danced before you need to start at stage one. If you have some experience then we will fit you in at a level that suits you best. A course will have a maximum of 9 people in the class. If our beginners dates do not work for you right now then please contact us and you can go on our mailing list for the up and coming courses. Kids Beginners Aerial Hoop & Silks. To be confirmed. You are only on the course when payment in full has been made and your health and safety typeforms have been completed and returned to us.